I’m having a error popup window each time I try to use add folder in batch Rename tool of Project Manager. In the past everything worked great but after update to leatest Project Manager that issue is always present. Please try restart 3ds Max and test again. 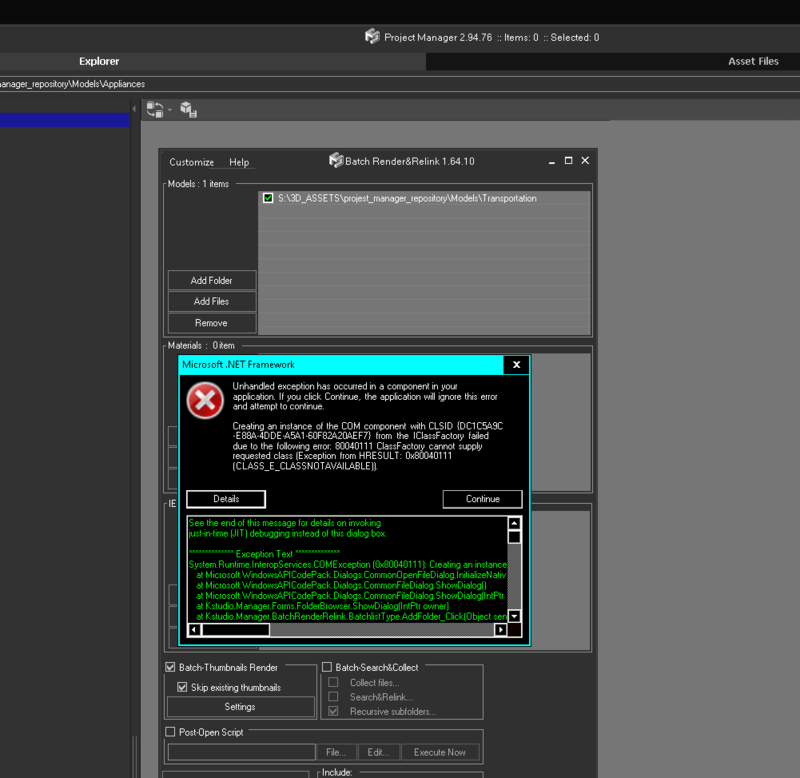 If problem isn’t solved please generate the bug report and attach the details from the dialog “Microsoft.NET Framework”. You can generate the bug report from the menu “Project Manager” ==>> Create support Request.